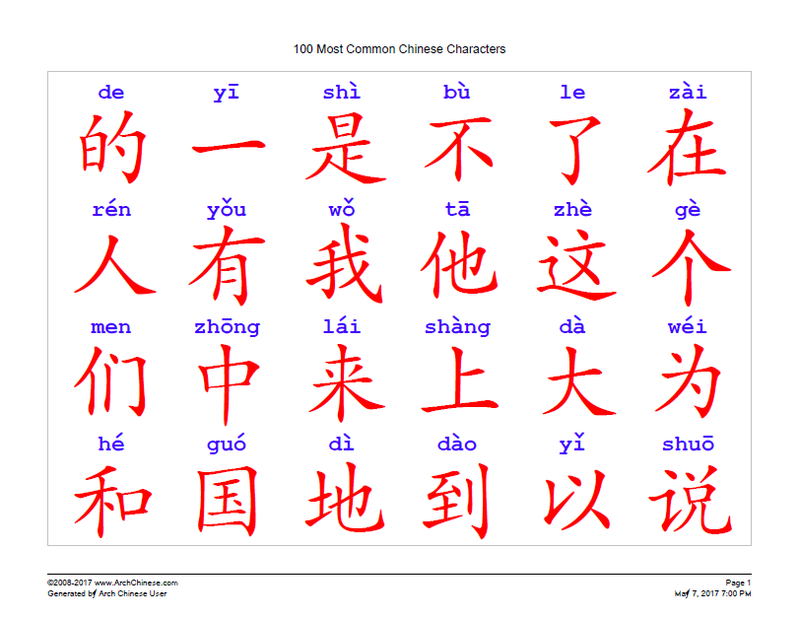 This tool allows Chinese teachers and parents to quickly create stylish Chinese character posters to use in the classroom or at home. You can select the standard paper size so that you can print your posters using your printer. You also have the option to create a poster as large as 36" x 48". For large posters, you can send the generated PDF to a local print service, such as FedEx Office or Staples, to print them out. You can set the character font size and color of the poster as you like. The Pinyin font size will be set automatically. Both simplifed and traditional Chinese characters are supported. Note this tool is for individual Chinese characters, not for Chinese words (character compounds). You can use Chinese Word Poster Maker to create posters for Chinese words. 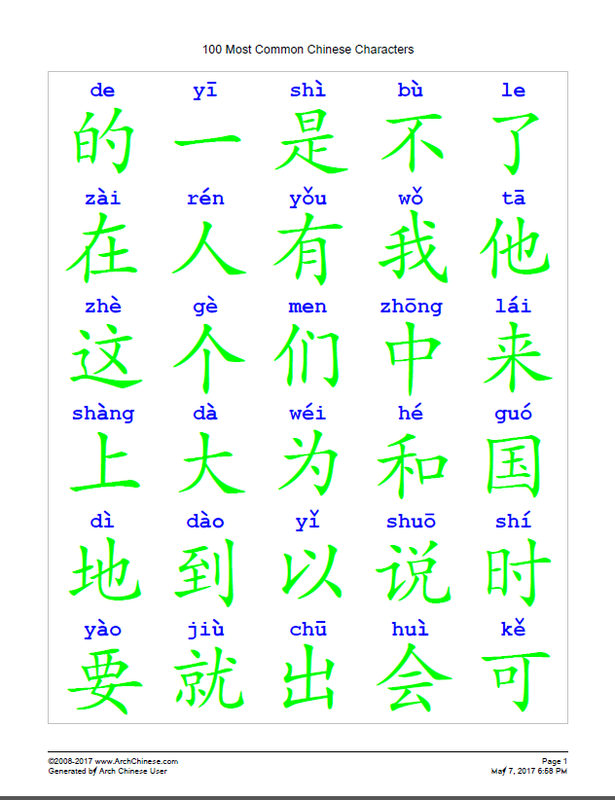 Click the Customize button to view and edit the Pinyin of the characters as needed. Click the Save button to save the list, include the editted Pinyin, for future use. Optionally, change the Chinese character poster settings. The settings are self-explanatory. Click the Print button to generate the poster. The generated PDF will be shown in a separate browser window. Optionally, click the Save button to save the character list, including the customized Pinyin, to Google cloud for future use. Instead of entering the characters into the character box, you can also generate a poster by loading a character list from your Saved Vocab Lists or find one from the vocab lists shared by the Chinese teaching and learning community. The Chinese characters from the list will be copied into the character box and the definitions and Pinyin will be populated for you.